Topics: Settle, List Of Communities, Business, Gallery, & Larger Version. Net Access Corporation (New Jersey, Newark) is the location of the nginx server. 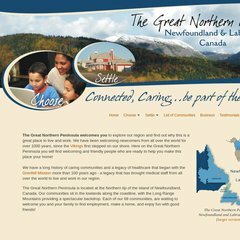 Northernpeninsula.ca's server IP number is 207.192.75.229. Its 3 nameservers are ns2.smartlabrador.ca, ns1.smartlabrador.ca, & ns3.smartlabrador.ca. PING www. (207.192.75.229) 56(84) bytes of data. A ping speed test response, is timed at 31.9 ms.